Get content you can customize and share with your A Little Obsessed™ Challenge Groups. Welcome to our “A Little Obsessed” Challenge Group. This group is designed to help you prepare for Autumn’s 80 Day Obsession program. For five days, we’ll be working out and following the A Little Obsessed Eating Plan together. After we finish this first round, I encourage you to continue doing these workouts as many times as you like until you feel ready to start 80 Day Obsession. It’s important to have a good base of fitness and be familiar with using all the equipment before jumping into the more challenging program. And your results will be so much better! 80 Day Obsession uses the concept of Timed-Nutrition, where you eat the right foods at the right times to maximize your results. A Little Obsessed follows a modified version so you’ll only time your food around your Workout Block, which is a 4- to 5-hour window that tells you what to eat before and after exercise. The rest of the day you can eat your portions as they fit your plan and lifestyle. You’ll see how the right nutrition, including Shakeology and Beachbody Performance supplements, can really help jump-start your results. Along the way, there’s one more thing I want you to do: hold each other accountable. OK? Think of this as your ultimate support group. No judgment. Just friends helping each other out, sharing experiences, and connecting. Feel free to ask any questions. Don’t be shy! The more you engage, the more you’ll get out of this challenge and the more prepared you’ll be for 80 Day Obsession. Throughout this challenge I’ll give you nutrition and fitness tips and healthy recipes to keep you obsessed with trying new things and getting ready for 80 Day Obsession! Why did you join this Challenge Group? Coach Tip: Check out the Coach Link Generator for direct product links you can send to your customers. *Resistance loops and mat contain natural rubber latex, which may cause severe allergic reactions. 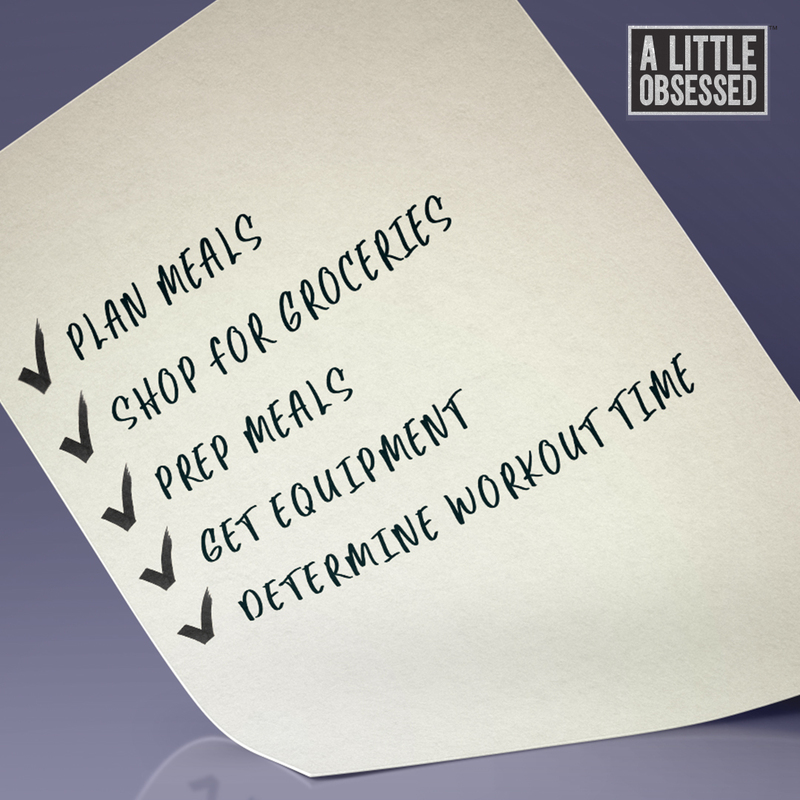 Now is a good time to review the A Little Obsessed Eating Plan—it’s under the “Program Materials” section of the A Little Obsessed program page on Beachbody On Demand. Use this plan to calculate how many servings of each container you’ll eat throughout this next week. Also be sure to start drinking your Shakeology (if you haven’t already). Shakeology is an incredibly healthy way to get the dense nutrition your body craves but you might not get from the rest of your diet. It’s a superfood protein shake that also contains globally harvested ingredients with phytonutrients, antioxidants, enzymes, pre- and probiotics, fiber, adaptogens, and more. Even though I try to eat healthy every day, I consider Shakeology the “missing link” that helps fill in the gaps and round out my diet. 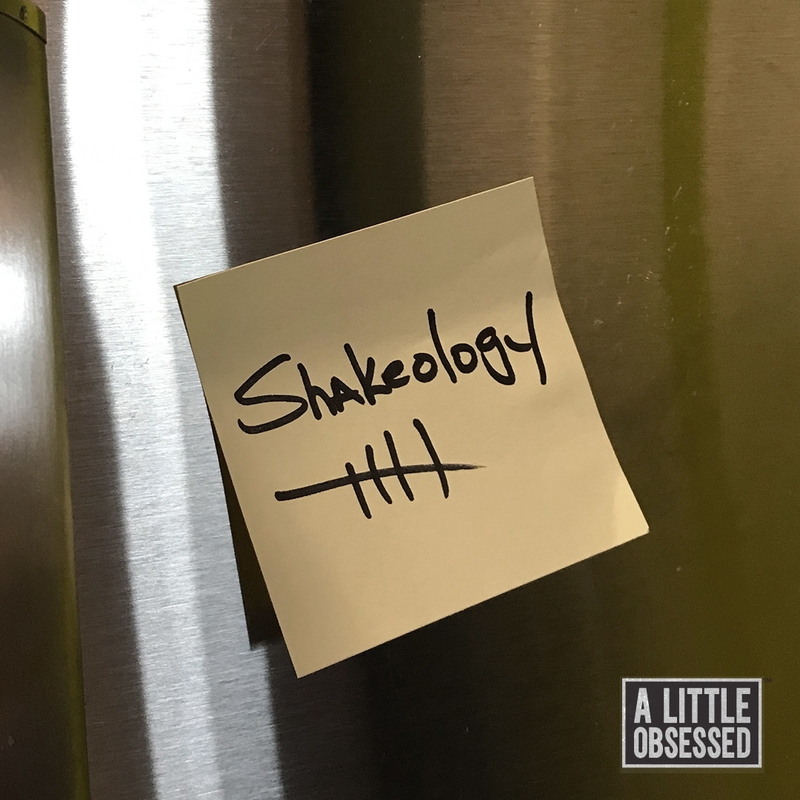 Not only can Shakeology help benefit your overall health, it also can help you lose weight, curb those pesky junk-food cravings, and give you good healthy energy to help you power through your day. * Plus, it's so delicious it tastes like a treat! How to incorporate Shakeology into your nutrition plan. Shakeology provides the healthy nutrition your body needs to perform optimally, as well as to help you get the best results from this program. It fits in anywhere you see a red container in your A Little Obsessed Eating Plan. It can be part of a healthy breakfast, or sometimes I save it for an afternoon snack when I want something yummy and sweet. It’s an integral part of your nutrition plan, so make sure you’re drinking it daily. How to incorporate Beachbody Performance supplements into your nutrition plan. Beachbody Performance are supplements that help you maximize exercise performance and recovery during and after hard workouts. * They’re specifically timed around your workouts to help you get maximum benefits. 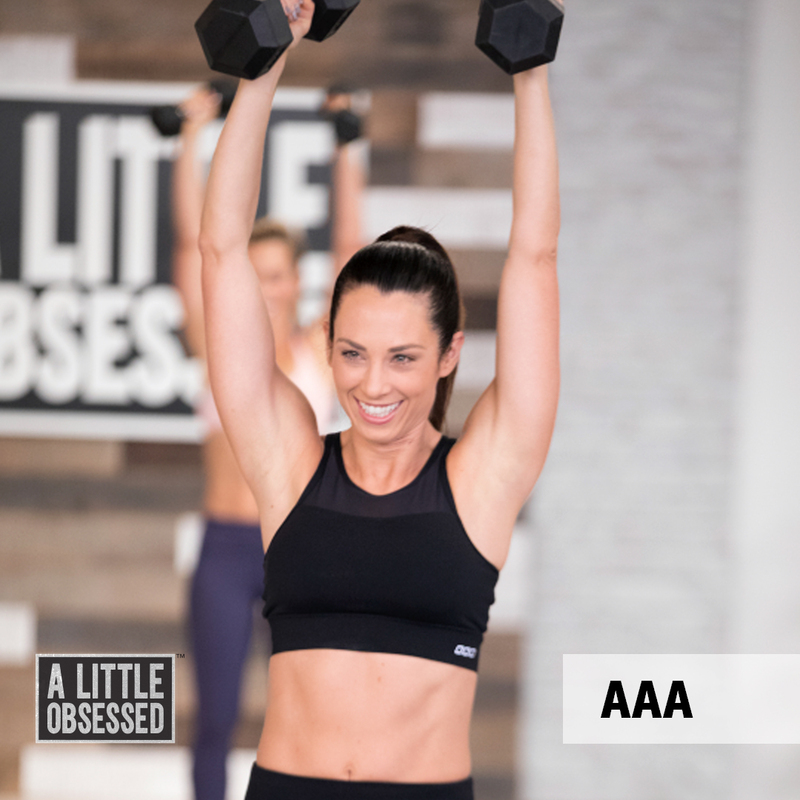 Get familiar with the A Little Obsessed program materials and Beachbody On Demand. This is where you’ll find all the workouts and program materials, including the A Little Obsessed Eating Plan (as well as A Little Obsessed Vegan Eating Plan) and the Workout Calendar. Just go to BeachbodyOnDemand.com. You can stream your workouts from your laptop, tablet, or smartphone. You can also stream Beachbody On Demand through your TV using Apple TV, Roku, Amazon Fire TV, and Chromecast, or download the Beachbody On Demand app for iPhone, iPad, or Android. How much space will you need for your workouts? You only need about a 6' x 6' workout space. You won’t get the results you want if you don’t have the right nutrition to fuel your workouts! 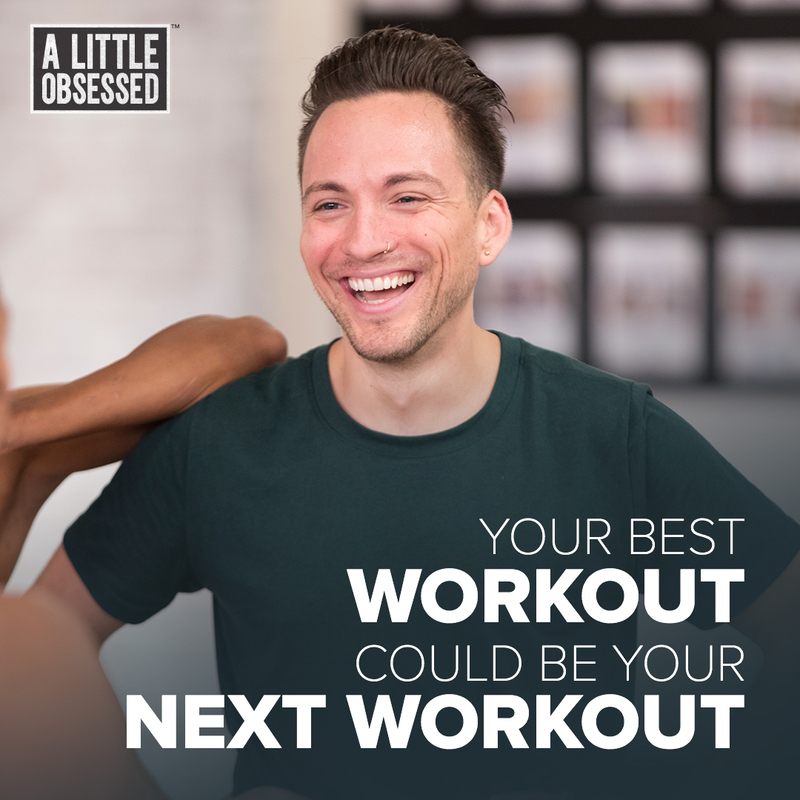 Even though A Little Obsessed is a 5-day program that’s designed to prep you for 80 Day Obsession, we want to help you set up healthy habits now so you see results for the long run. So let’s talk about a few strategies to make sure you succeed next week. Clean out your pantry. If it’s not there, you can’t eat it. So get rid of the junk, the processed foods, anything that will not help you succeed in this journey. If you have to have treats in there for your kids or spouse, can you promise me that you won’t touch them? If the answer is no, then I would suggest throwing them away. Instead of keeping it in the house, why not take your kids out for a treat instead? Then it becomes a special once-in-awhile thing, not an everyday habit. This is a great strategy for helping your whole family adopt healthier habits! Meal prep. Just about everyone who’s serious about nutrition does some form of meal prep each week. That’s where you cook a few things in advance so they’re ready to eat during the week when you’re the busiest. I like to plan my meals and grocery shop on Saturday, then use Sunday as my meal prep day. I cook things like grilled chicken and hard-boiled eggs, and I cut up veggies for my meals. Have you done meal prep? What are your go-tos? Get ready to get A Little Obsessed! Are you as excited as I am? Only a couple more days until we start! Decide what time of day you want to work out and block this out—this is your time! OK everyone, if you’ve done all your homework for the week—like planning your food, shopping for groceries, and doing a little meal prep—I want you to get plenty of rest so you’re ready to go tomorrow. We’re going to work hard and have fun. Some days may be tougher than others for you, but we’ll get through each one, together. Chances are, you’ve NEVER regretted a workout. And I guarantee you, once you start to feel the change in your body from these workouts, you’ll be begging for more. 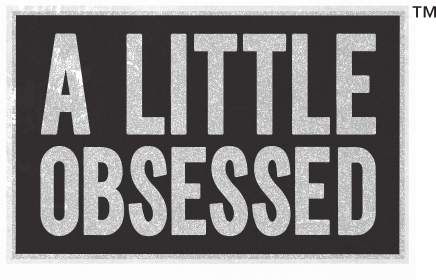 Welcome to the official start of A Little Obsessed! Today’s workout is Total Body Core. We will work your entire body, with some extra focus on your core, in just 10 moves. Have your weights and Beachbody Resistance Loops ready to go! Also, let me know how you do with eating around your Workout Block. I know this is new for lots of you. Do you have any questions about timing your nutrition in this way? If so, please don’t hesitate to ask. We’re ALL in this together. This glute-focused workout will use your Beachbody Resistance Loops and weights to shape a lifted backside in just 2 sets of 8 exercises. You’re going to feel it later! How are you feeling? Are your muscles sore after these first two days of workouts? Just remember, it’s totally normal to be sore when you start any new program, even if you’re already pretty fit. I recommend that you stretch a lot, and keep moving as much as possible. Because, believe it or not, the longer you stay still, the stiffer you get! Are you using Beachbody Performance supplements? They can help significantly when you’re pushing your body—especially when you’re new to working out! Whew! That was a lot of information. You can also watch the below video hear Autumn talk about how to integrate Shakeology and Beachbody Performance into your nutrition. Ever wondered how to prevent muscle soreness from lingering for days? Check out this article for some tips. Today’s workout is called AAA—which stands for “Abs, Arms, and A**.” Your arms, chest, back, shoulders, core, and booty will all get worked with 9 moves, 15 reps, and 2 sets. Grab your weights, Beachbody Resistance Loops, and Beachbody Strength Slides, and let’s do this! As you know by now, nutrition will be key for getting the results you want with 80 Day Obsession. It can be challenging at first to eat certain foods at certain times, but that’s how you fuel your body for results! And that’s one of the many reasons why Shakeology is included in this program. Because it’s packed with some of the world’s most potent, nutritious, and delicious ingredients, it’s a fast and easy way to help you eat healthy when you’re doing these A Little Obsessed workouts. So even though I try to eat healthy every day, Shakeology is a must-have for me. I don’t miss a day! My favorite way to drink it is [ADD YOUR FAVORITE RECIPE HERE]. How have you been preparing yours? Who’s excited for Cardio Core?! 6 low-intensity cardio moves, 6 high-intensity cardio moves, and 6 core moves make this a sweaty and fun challenge. Only equipment needed are your Beachbody Resistance Loops and Strength Slides. Oh, and your towel, of course. I even write my motivational tip down on sticky notes and leave them in key places around the house so the truth can’t escape me. The reality is, everyone has those days when you just don’t want to do it. You’re busy. You’re tired. Your to-do list is 10 pages long. But, I know that if I put myself first and complete what I set out to do, my body, mind, and soul will benefit beyond belief. A little nutrition talk: How are you doing with your container combinations? At first, you might want to eat single foods so you can check something off for each container (chicken = red, banana = purple, etc.). But once you've mastered that, you can mix it up a little by trying some new recipes. In fact, for hundreds of great container-friendly recipes, check out Autumn's Beachbody On Demand cooking show, FIXATE. LAST DAY EVERYONE! It’s Leg Day! You’ll be doing 9 simple leg moves to sculpt your quads, hamstrings, calves, and glutes. Have your weights and Beachbody Strength Slides ready to goooooo! So, how did you like these workouts? Were they harder than you thought they’d be or just right? Autumn recommends that you do more than one round of A Little Obsessed before you jump in to 80 Day Obsession, to make sure you’re really ready. Remember that I’m here to help you plan the next phase of your fitness journey. But before you decide what to do next, check out this amazing Success Story from Emilie F. who lost 21 lbs. and a total of 23 inches with 80 Day Obsession.† Not only did this program re-sculpt Emilie on the outside, what it did for her mindset and way of life is beyond belief. I'm actually starting a new 80 Day Obsession Challenge Group on [insert date] and would love if you joined! Just message me if you’re interested. Way to go, everyone! I’m so proud of all of you for making it through this challenging week with me! Congratulations!